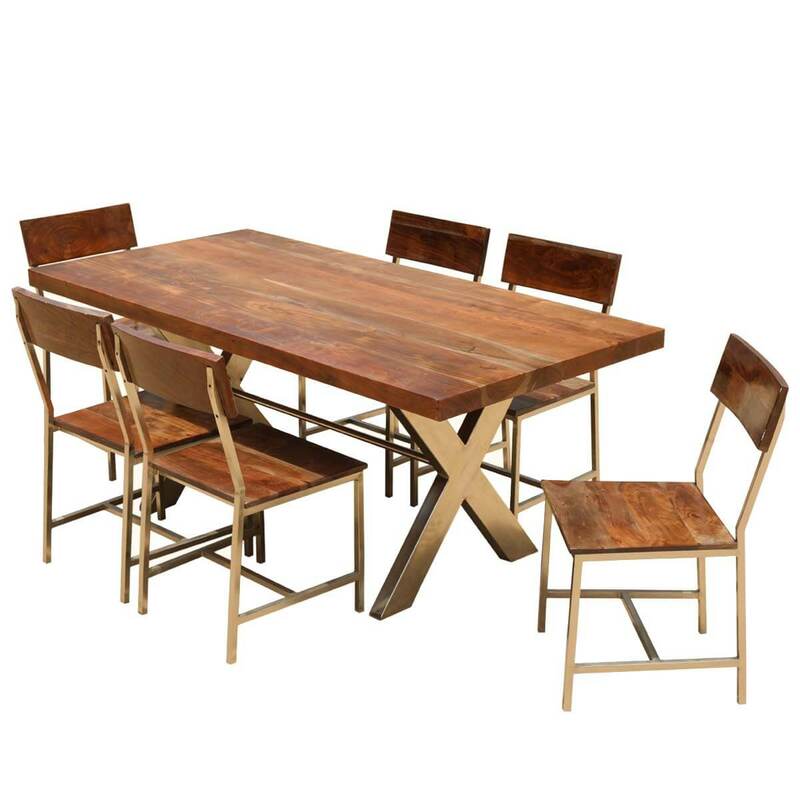 Infuse a fresh and casual style into your dining room or conference center with our Solid Wood & Iron Double X Pedestal 72” Rustic Dining Table Chair Set. 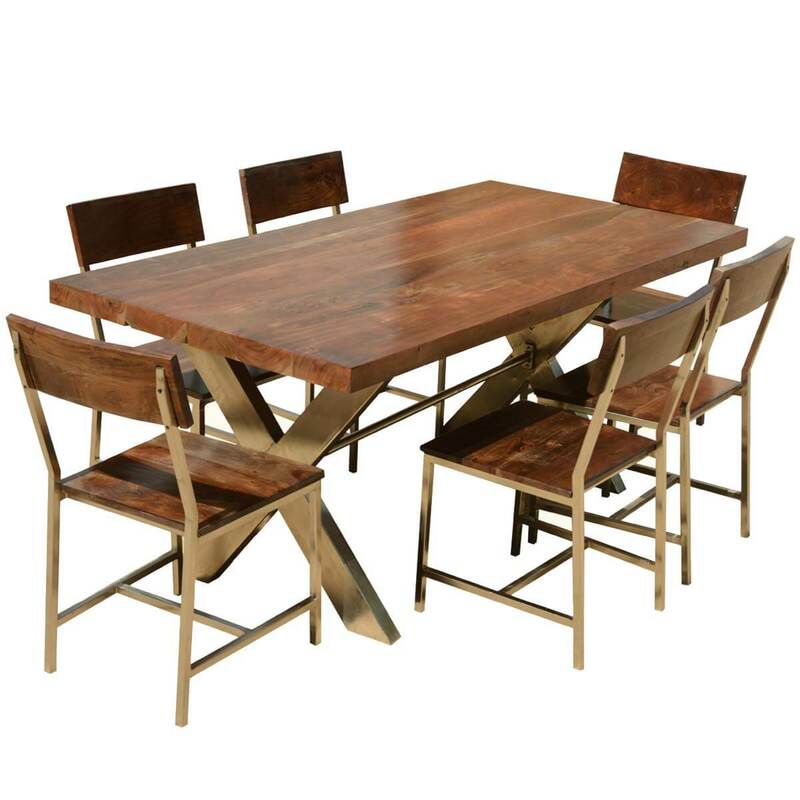 This handmade rustic dining table measures 72” long and is supported by two polished iron Xs. 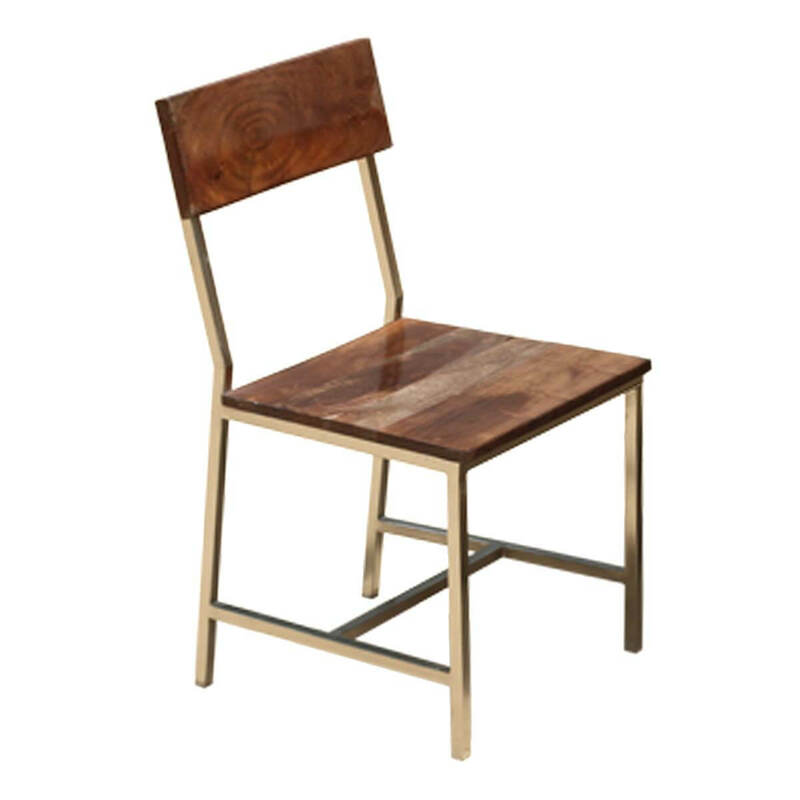 The chairs are designed with wide seats, a slanted back and an H shaped stretcher for extra stability. 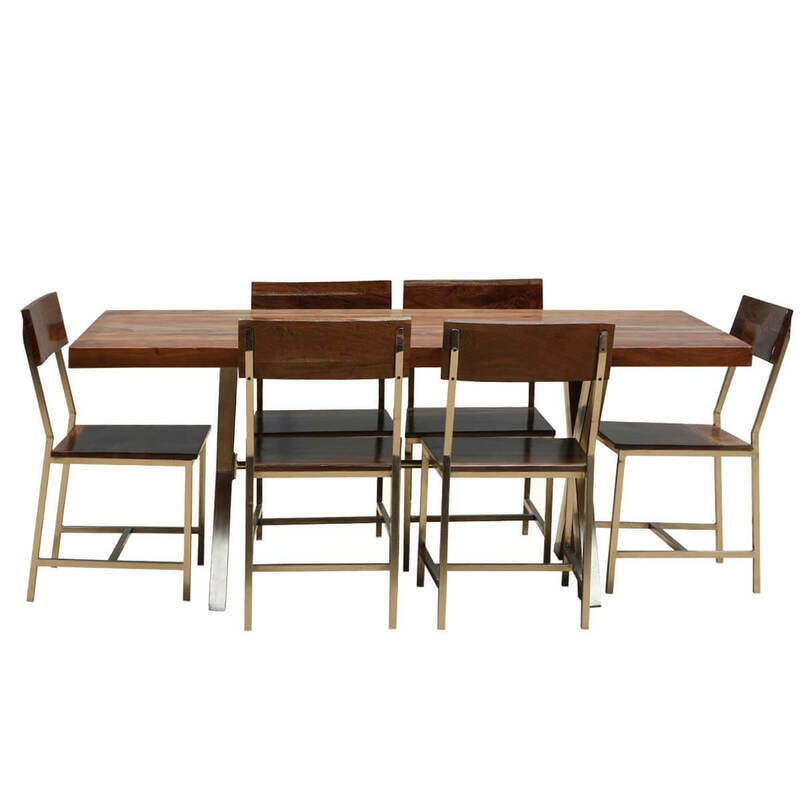 This modern style includes clean lines and edges. 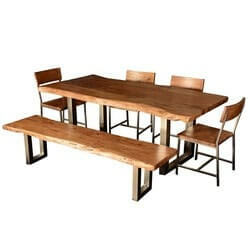 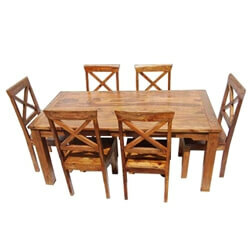 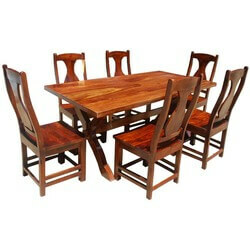 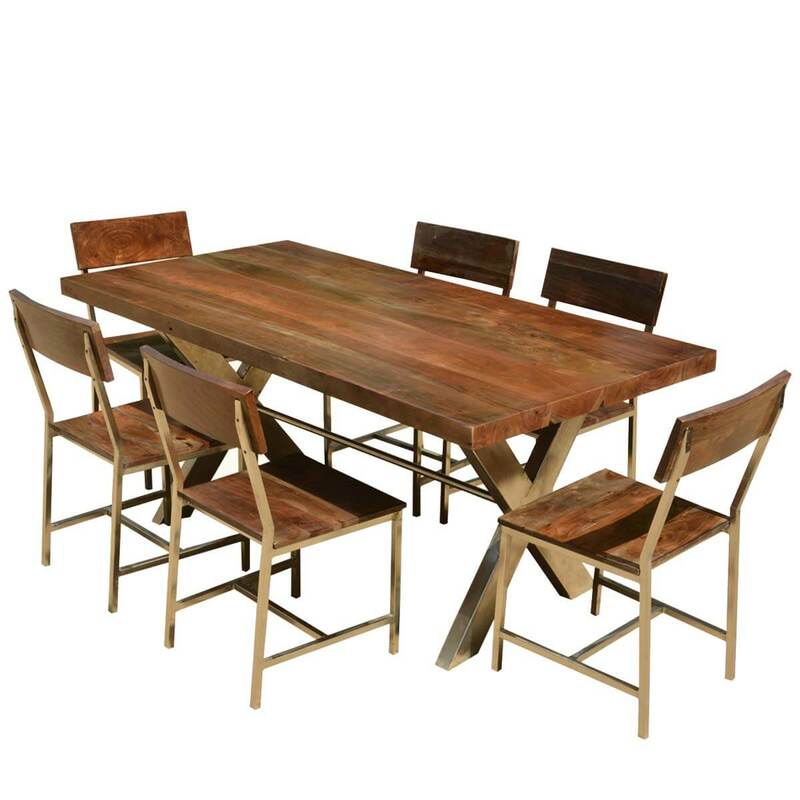 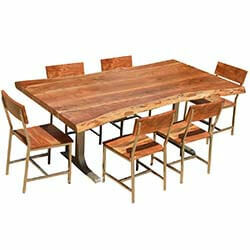 Our rustic dining room set is built with iron and acacia wood, also known as Koa. 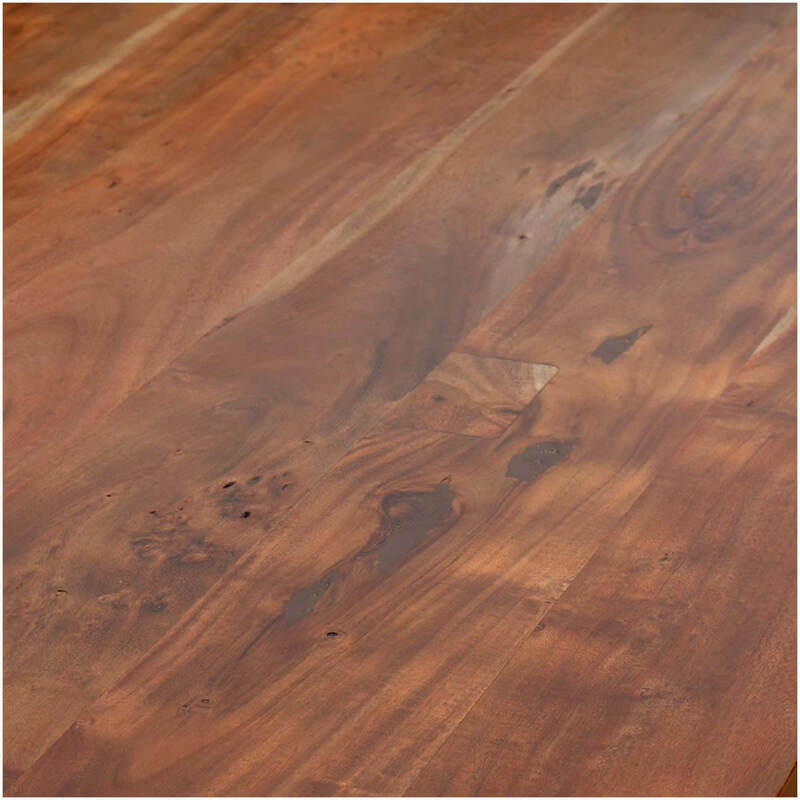 Acacia has a dynamic wood grain that enhances the table and chairs.